Sweat bands at the ready. 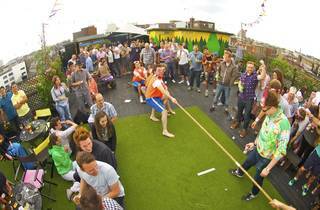 In 2014 The Queen of Hoxton brings back their silly summer sports day for the third year running. 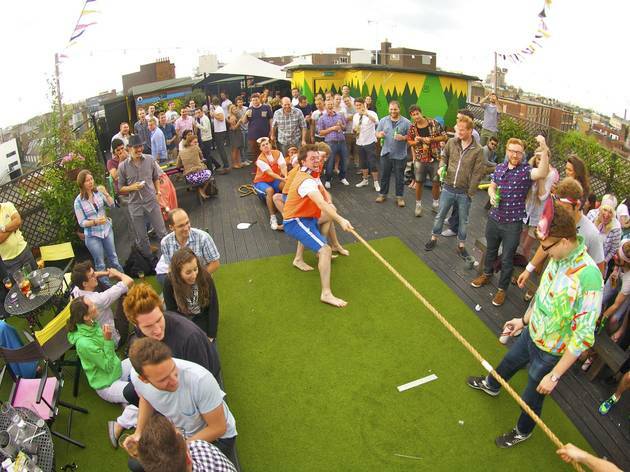 Teams of five will take part in events including fatty wrestling, exotic fruit bowling, wrap battle, shot pud and more. When they aren't sweating it out, participants can enjoy a barbecue, DJs and frozen cocktails. Prizes will be awarded for best team kit and team spirit as well as to the top scorers. Tickets are available online in advance; don't forget to register your team name as well.